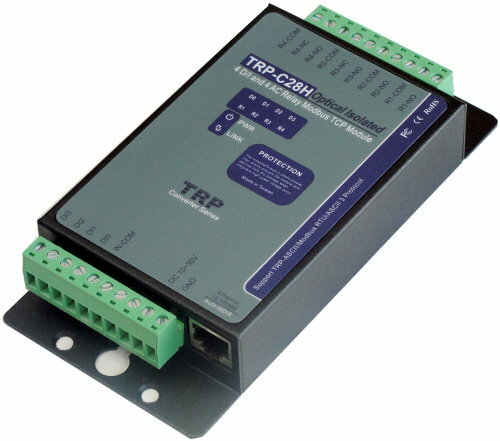 The TRP-C28H is a 4-ch digital Input and 4-ch relay Ethernet I/O module with isolation. It allows the user to connect the signals from 4V to 30V,and the Replay can connect AC voltage directly. Each contact of relays we built-in safety suge protection to prevent a spark. It has a normal I/O except the counter function. 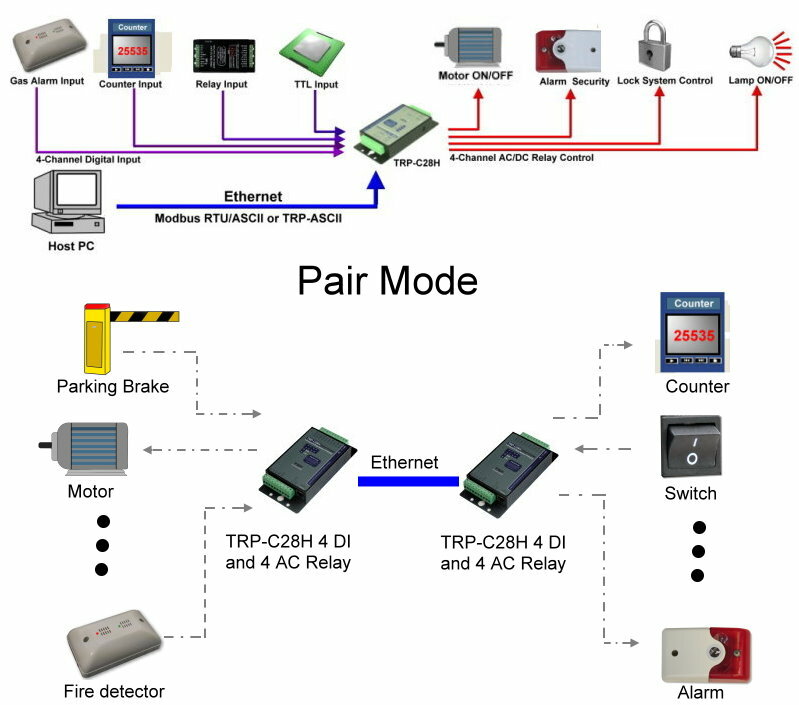 There are 3 protocols we supports that, it includes ASCII and Modbus TCP RTU / ASCII. The watchdog function ensures running stable under harsh environment. It allows to connect 1~8 sets of host IP in the network security. WEB PAGE can be directly read IO status. Easily update the firmware using the Internet. Built-in surge absorber in each relay N.C and N.O. Power/Link/8 CH D I/O LED indicator. Dual power input select from screw terminal or DC-Jack..
Output channel: 4 channel power reply outputs. Relay type: 2 Form A (RL1,RL2) , 2 Form C (RL3,RL4). 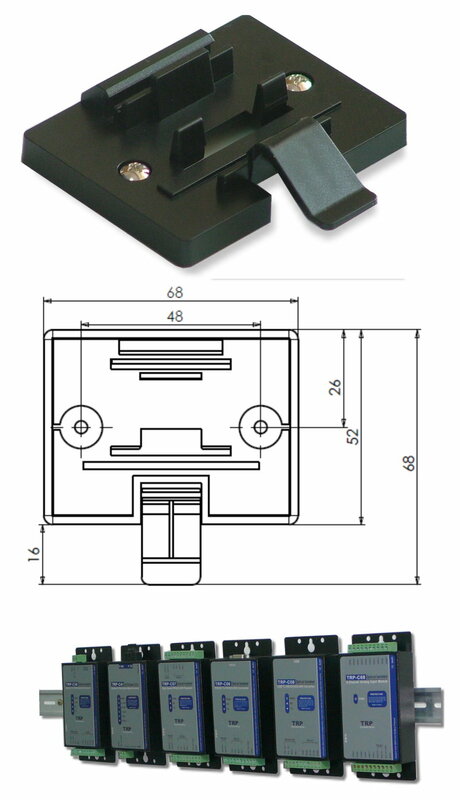 Contact ratting: 5A /30V DC , 5A /120V AC , 5A /250V AC. Relay operating life: 2 X 10(7). Matching remote control: with another TRP-C28H. Storage temperature:. -10 to 70℃.